Mayer Kirshenblatt, who taught himself to paint at the age of 73, recently had a exhibition at the Jewish Museum in NYC. The show is over now but do check it out online along with his wonderful stories. soba workshop classes that i didn't get to in time to sign up but i am on a waiting list. 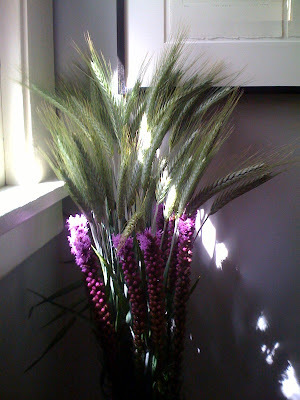 and wheat stalks that i got at the farmers market today to bring a little fall into the house.